Quickly pan sear the beef and onions in a large pot using non-stick cooking oil. Add the beef base that you have prepared using the beef paste and water. Add salt and pepper to taste. Add mushrooms and simmer on stove top until beef is tender. 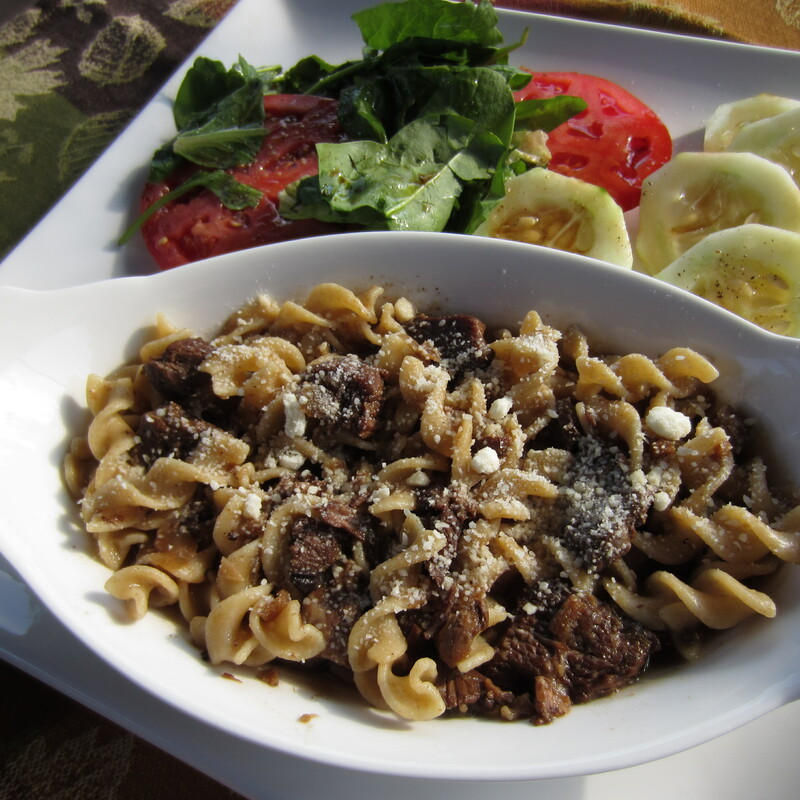 Serve the beef over noodles or rotini pasta. Tip: Add a dollop of low-fat cream cheese and sprinkle with grated Parmesan cheese for added flavor. 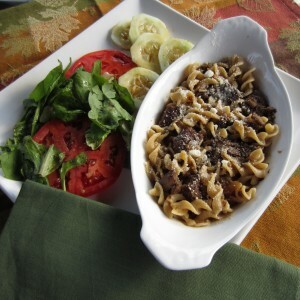 1/2 cup of rotini and 2/3 cups of the meat stroganoff is in the neighborhood of 340 calories.